Explore is offering big savings of up to £384pp on selected trips. Cycle the hamada desert in Morocco, cruise along the Keralan backwaters in India or see the giant pandas in China. Book one of the following trips by 4 February, with just a £49pp deposit. Immerse yourself in the Indian culture with two-night stay in a family–run, village homestay, cruise the Keralan backwaters and watch village life from a traditional houseboat. This trip also explores the tea and spice plantations in the region and provides an opportunity to see tigers and elephants in the Periyar wildlife sanctuary. Highlights of this trip around China include passing through the Three Gorges on a 3-day cruise along the Yangtse River, a walk on the iconic Great Wall of China and a visit to the Giant Pandas in Chengdu’s research centre. Explore the ancient sites such as the Terracotta Army in Xian and the Forbidden City in Beijing with the lively and modern streets of Shanghai. 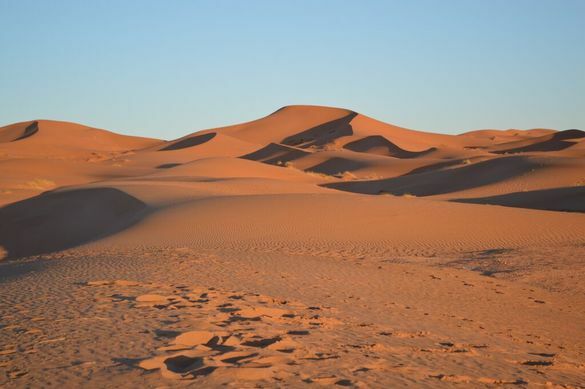 This moderate graded cycling tour of Morocco takes cyclists through the remote hamada desert of the Sahara and around the picturesque Draa Valley. Highlights include a thrilling descent from the High Atlas mountain pass of Tizi N’Fedrhate and a camel trek out to a desert camp near Erg Chebbi. There is also time to discover the vibrant Red City of Marrakech and Ait Benhaddou, a city so spectacular that it has been used many times as a film backdrop. Beginning on the Indonesian island of Java this trip features a cultural tour of Yogyakarta by cycle rickshaw, known locally as ‘becaks’, and a visit to the Borobodur Buddhist temple complex, one of the largest of its kind. A must-do is the walk up Mount Penanjakan for a breath-taking view of Mount Bromo crater at sunrise. On Bali, enjoy the volcanic black-sand beaches, stroll through rice paddy fields and shop for local handicrafts in the bohemian town of Ubud. For further information please visit www.explore.co.uk or call 01252 883 409.